Applications for 2016 Michigan industrial hemp research projects are becoming available this month. Speak with your university / college partners and contact Mike Phillip at MDARD (517) 284-5649 or phillipm@michigan.gov for info and applications regarding industrial hemp. Lets get some seed in Michigan soil next spring! Lets get some seed in Michigan soil next spring! Posted at January 11, 2015 | By : Everett Swift | Categories : Blog,MIHEMP Update | Comments Off on What are HB 5439 and HB 5440? Tell Governor to Sign Hemp Bills Into Law! Posted at January 11, 2015 | By : Everett Swift | Categories : Blog,MIHEMP Update | Comments Off on Tell Governor to Sign Hemp Bills Into Law! Michigan Legislature Sends Hemp Bills to Governors Desk. 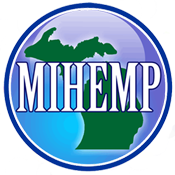 Posted at December 18, 2014 | By : Everett Swift | Categories : Blog,Michigan Businesses,MIHEMP Update | Comments Off on Michigan Legislature Sends Hemp Bills to Governors Desk. MIHEMP Exec. Director on Patriot Voice Radio Network Everett Swift on N. Michigan Radio The following links include informative updstes for activists on the current state of the Industrial Hemp (IH) movement in Michigan. The podcast and internet site can be found at this link. US Senate Lead Mitch McConnell (R-KY) Favors Industrial Hemp! Update: February 3, 2013 Important Update! Are You Sitting Down?! US Senate Lead Mitch McConnell (R-KY) Favors Industrial Hemp! Feb 2, 2013 US Senate Republican leader Mitch McConnell has done what many politicians have been unwilling to do: Change their minds for the better. In politics, even after careful consideration of new information, changing a publically-held position is viewed, usually by opposing parties, as a sign of weekness. But, oh, how times ... they are a-changin'!